The S-Lab Conference programme and Awards aim to recognise best practice in all aspects of lab design and management. 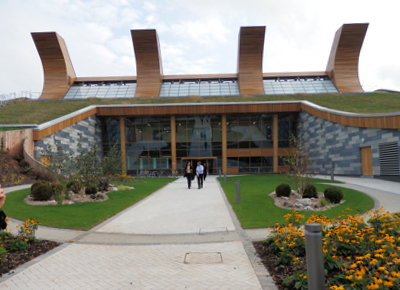 The two-day conference, entitled Supporting World Class Science, this year held at King’s College London, brought some 350 facility designers, managers and lab users from around the globe to discuss best practice. Some of the most innovative and internationally groundbreaking new builds were presented, showcasing the latest trends in configuring space that is flexible and productive yet placing sustainable technology and energy efficiency at the heart of the design. Personal insights on their practicality and success made for fascinating listening. The goal for most new builds is to create productive space, attain the highest Building Research Establishment Environmental Assessment Methodology (BREEAM) or Leadership in Energy and Environmental Design (LEED) credentials and get as close to being carbon neutral as possible. For each different lab location, local climate, energy costs and water availability can have an impact on design, which means no two labs around the globe are likely to be the same or have the same issues, but many trends are universal. Lab flexibility is a hot topic for many facilities. As markets fluctuate and production processes change rapidly, lab space needs to become more adaptable. Modular labs that can be reconfigured to meet future needs is a key trend. To increase R&D productivity, there is also a desire for greater collaboration among researchers (from the same and different disciplines). Paul Janssenswillen, CEO SciTech Engineering, discussed the fall in drug discovery productivity and the recent relocation of R&D to ‘Scientific Super Clusters’ (Cambridge UK, Cambridge MA, San Francisco, etc.) to aid collaboration efforts and recruitment of talent. He gave the example of Lab Central, a 28,000ft2 facility located in an historic, MIT-owned building in Cambridge MA, designed to accommodate approximately 25 life-science companies and housing up to 100 scientists. Its entire architectural concept is to remove barriers between people to improve communication. Conference rooms, offices and communal spaces were designed to facilitate interaction and collaboration between start-ups. 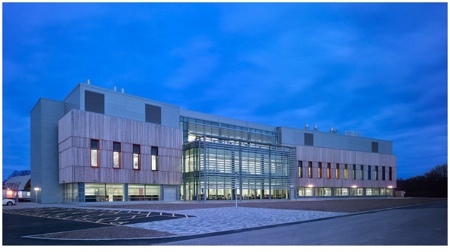 Key features are large open laboratories offering shared space and equipment, with ceiling panel utility provision, flexible laboratory furniture solutions, in-lab ‘write-up’ desks, an in-lab meeting area with Smartboards, Mediascapes and flip charts. Bright airy spaces with vibrant colours, lots of transparency and face-to-face connection certainly look impressive and may work for some – but not necessarily for everyone. As one speaker noted, scientists tend to be more introverted people preferring corners rather than highly visible spaces. There is often a disconnect between those at the top, specifying and paying for buildings, who are used to offices, and the scientists in the labs at the front line of research. The move towards flexible, shared space is also being driven by the perception that many labs are under-utilised. Several speakers, however, highlighted the difficulties in getting people to consider shared labs. Shared facilities often lead to a blurring of who is responsible for ensuring equipment is used properly, maintained and replaced when broken. Hilary Jeffery from architect and constructor AECOM, said the academic arena can still encourage an individualistic mindset: ‘Research activities are about individuals and their personal interests, which can create high levels of lab ownership and empire building.’ Others believed that cultural and political difficulties in sharing labs could be overcome by change management. It is undeniable that actual time spent in the lab has reduced dramatically, which makes lab space appear under-utilised for large amounts of time while still requiring expensive lighting, ventilation, temperature and humidity control. As computers have replaced lab notebooks and Internet access has become essential, the writing-up of experiments has shifted away from the lab. Many more processes are also now largely automated so labs are visited mainly during set-up and breakdown of experiments. Making labs more energy efficient has moved beyond the quick wins of installing lights that use motion sensors or timers, and encouraging people to close fume cupboard sashes more frequently. Better design of where to locate plant and proper sizing of load is enabling organisations to specify smaller air handling units (AHUs) and cut down on expensive ductwork. New technology that can be introduced on new builds or retrofitted to existing labs is also being employed to cut HVAC costs. 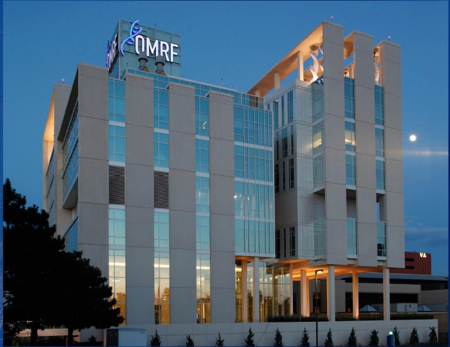 Mike Morgan, Executive VP and COO of the Oklahoma Medical Research Foundation (OMRF) in the US, for example, said that when designing its new Research Tower, the OMRF managed to reduce the load by the use of Chilled Beams and Venturi Wedges. Installing these technologies enabled the use of smaller AHUs, smaller and fewer ducts, and reduced chilled water and steam requirements, leading to reduced overall energy and no need for flow tracking controls. The gains made, however, must be balanced with the need for a secondary water loop and the requirement for constant volume air, he said. Many organisations were managing to safely rachet back air change rates (ACRs) during periods of inactivity. Mel Leitch, Superintendent, and David Pearson, Estates Project Manager, at Newcastle University Institute of Neurosciences, for example, talked about the department’s new extension which had an AHU that enabled them to switch between 15 air changes/hour (ACH) when research was going on and 4ACH when rooms were out of use. But as Leitch pointed out, that reduced air flow meant that the overall cooling capacity also reduces – so keep in mind that extra cooling contingency may be required to compensate for this. Vivariums are one of the biggest users of ventilation and have specific ACRs (usually 15ACH) to ensure that animals are comfortable and that workers do not suffer from exposure to allergens or high levels of ammonia. Tecniplast, which designs ventilation systems for vivariums, has successfully reduced energy costs by separating the room ventilation from that of the cages. Its Airflow Solution integrates Individually Ventilated Caging (IVC) air delivery and exhaust with the building’s air handling system. 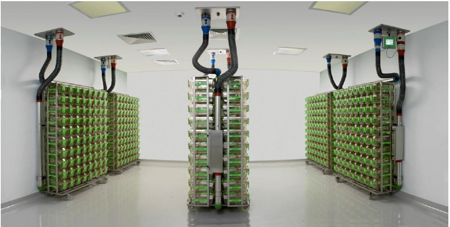 It employs a Multi-Flow AHU design and includes a climate control system connected to each cage rack that continuously monitors and maintains the relative humidity. This means individual cages don’t change their pressure mode with a change in the environment. Also by taking the ­air in the room (not in the cages) from outside there is no need to worry about humidity; only the air going to the cages has to be treated for humidity, creating a big saving. Mark Turner, Head of Engineering Services at Southampton University, presented a project carried out with the help of KJ Tait Associates that used wind-responsive fume extraction linked to real-time monitoring of variable air volume (VAV) fume cupboard sash positions. When the chemistry building was constructed in 2000, it was equipped with a modern VAV fume cupboard extraction system. Fume cupboards are designed to operate at a face velocity sufficient to contain any fumes created within them. This rate is normally set at 0.5m/s, although in some instances it can be set lower than this depending upon the particular circumstances, and this means that closed sashes result in a far lower extraction rate being required than when the sash is fully open. The cupboards are connected via a ductwork system to four extract fans located in the plant room roof, which were designed to discharge to atmosphere at a constant 10m/s exit velocity. Each cupboard is equipped with a VAV box that automatically adjusts the amount of extracted air dependent upon the position of the fume cupboard sash so as to maintain the specified face velocity. Although the guidance contained in BS EN14175 Part 2 results in safe dispersal of fumes in almost all circumstances by ‘working on the safe side’, it is likely to result in excessively high discharge rates (and hence energy consumption) for most of the time. This is because it is only during very windy weather from certain directions that fumes are likely to be driven by eddy currents down to occupied areas if velocities are too low. For most of the time the fumes will disperse upwards causing no excessive concentrations. This project addressed this issue by constructing a physical model of the lab building and surrounding buildings. The model was then tested in a wind tunnel (by Brad Cochran of Cermak in the US) to determine a ‘lookup table’ of exhaust velocity required for differing wind speeds and directions. A weather station was fitted to the neighbouring building to give velocity and direction readings and the lookup table was then built into the Building Energy Management System that controls the fan speed, reducing it to the minimum value that will ensure good fume dispersal whatever the weather. Now when a signal comes from a VAV controller it will stage in exhaust fans by modulating the damper to bring in air. Because the power driving the fan is based on a cubic law, reducing a fan by a small amount can produce huge power savings. The project saved electricity with a value of £47k in its first full year of operation, a rate that would recoup the capital investment of £114k in just two and a half years. However, Turner suggested that the main expense was the modelling costs, and so this solution was best suited to large projects. According to Matt Harris, Head of Energy and Compliance Division at energy efficiency consultancy EECO2, and Graham Eady, of airflow monitors and controls provider TEL, there are an estimated 750,000 fume cupboards in use in the US; the estimated operating cost of these fume cupboards is approximately US$4.2bn per year, accounting for a peak electrical demand of 5.1 Gigawatts. These two presenters gave case studies where energy savings could be made on fume cupboard use. Their initial advice was: be clear about the baseline and set useful alerts on key metrics. In a case study involving The Wilton Centre (originally a world-class facility owned by ICI but subsequently sold and redeveloped into a multi-tenanted technical and business centre) some 50 extract fans were removed and a ducted bridge was installed. The supply AHUs were upgraded; low energy filtration and high efficiency motors were introduced; VAV dampers were installed, along with fume cupboard VAV controls and room by room pressure differential control of supply air. The second case study was Manchester Metropolitan University’s John Dalton Tower which had 48 Constant Air Volume (CAV) fume hoods working 24/7. The inefficient system was costing in the region of $120,000 per month in electricity operating costs, he said, which he described as worse than ‘having the heating on with the windows open’. TEL devised a retrofit solution for conversion to a VAV scheme. The retrofitting of VAV fume cupboards and automatic sash closing was a common theme. Automatic sash closing requires a sensor mounted on the fume cupboard that maps the area in front of the fume hood and detects the presence of the operator. The sensor will re-learn the area if objects are placed in front of the fume hood, e.g. stools, equipment, etc. The operator can stand completely still in front of the fume hood and the sash will not automatically drive down. Only when the operator moves away from the fume hood does the sensor tell the sash drive to close. According to TEL, fitting its VAV control to fume hoods and linking this to the lab air supply would give up to 80% energy savings when the sash is closed and the Auto Sash Closer guarantees the maximum energy savings by closing the fume hood when the operator walks away. Effective fume cupboard and ventilation design was the topic presented by Mike Dockery, MD of Sui Generis. As a lab design consultant he is also Chairman of the BSI Lab Technical Committee LBI/1-1 (furniture and fittings), and UK delegation lead to the CEN TC332 WG4 Fume Cupboards Technical Committee. Dockery said that in the past labs had relied on ‘historical finger-in-the-air “guesstimations” – the enemies of right-sizing’. He highlighted frequent misinterpretation and poor implementation of the current standards. For example, he said there were a large number of users who have a pass/fail approach to fume cupboard testing, often based on the erroneous assumption that a face velocity of 0.5m/s represented safe working conditions, irrespective of the activities or the amount/toxicity of the chemicals involved. He went on to discuss several changes to the standards that were imminent. He said that the release of the first part of a Filtration Fume Cupboards (FFCs) standard covering recirculation filtration devices (RFFCs) could be expected early in 2015 with ducted units (DFFCs) to follow. It was also proposed that the 2015 release of a lab ventilation Code of Practice would also cover microbiological safety cabinets. He also indicated that a forum was to be hosted at ACHEMA 2015, at which the aim was to ‘set a direction for an ISO standard for fume cupboards’. These standards would bring various changes. In particular, he said, there is a clear requirement for some form of performance guidance that will be readily understood by users, specifiers and safety professionals when interpreting the results of the various BS EN 14175 tests. Three standardised performance bands are proposed, related to processes, toxicity of chemicals, quantities of chemicals, associated hazards and workplace environments. A comprehensive description of typical conditions, processes, hazards and activities. Performance objectives as Protection Factors related to BS EN 14175 Part 3. Performance objectives as Protection Factors related to BS EN 14175 Part 6. Within the nearly 100 presentations and a small exhibition during the two-day event, there were many commendable examples of best practice in designing and running both new and old labs. It was also shown to be possible to make impressive savings in the lab environment through simple shifts of behaviour. However, it was clear that behaviour change needs to be seen not as a one-time activity, but as an ongoing process that needs support. Questioning old norms and moving from guesstimates to real testing has also been crucial to the implementation of new technology that can make a real difference to HVAC costs. The S-Lab conference will be run again next year and its accompanying exhibition will return to its larger size. For updates on next year’s venue and other details visit www.goodcampus.org.